HSV Polska has managed to obtain the new ISO-TS 16949:2016 certificates. ISO-TS 16949:2016 certification provides original equipment manufacturers (OEMs) and their suppliers in the automotive industry with the guarantee that HSV complies with the latest guidelines and excellent standards of quality in effect within that industry. HSV Moulded Foams Group was already recertified in 2017 according to the new ISO 9001-2015 standard. ISO-TS 16949:2016 is an expansion of the ISO 9001:2015 that was updated and expanded in 2015. 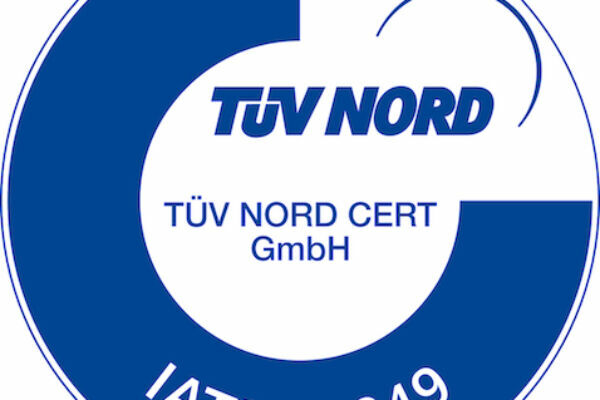 During the audit conducted earlier this year, HSV Polska was assessed by TÜV. The audit showed that the HSV organisation meets the latest standards and guidelines drawn up by the International Automotive Task Force (IATF). It is a great result for OEMs and for HSV. This ensures and establishes that the products and parts which HSV Moulded Foams Group develops and produces for the automotive industry are consistent in quality and meet the latest standards of quality that are currently customary according to official guidelines. The International Automotive Task Force (IATF) is an alliance of all the automotive manufacturers and respective trade associations in Europe. The IATF was formed to provide improved quality products to automotive customers worldwide, e.g. by achieving consensus on international quality requirements for suppliers. The ISO-TS 16949:2016 standard was developed by the IATF, and the quality system requirements are applicable in the automotive industry all over the world. Among other criteria, the ISO-TS 16949:2016 specifiesrequirements for an effective quality management system (QMS). Compliance with these quality requirements is mandatory for OEMs and for all companies that produce production materials, products or service parts for OEMs. HSV Moulded Foams Group has proven its compliance with these requirements by attaining the latest certificates. We engineer your designs to a mouldable product. Our particle foams fill a range of functions. The versatility of particle foams is tremendous.